Twitter took its first swing at streaming live sports this week, but the company didn't do much to differentiate its stream experience from others. Twitter has big plans for streaming live sports, and it's preparing to distribute live feeds from 10 NFL games this coming season. However, the company lobbed its way into Wimbledon with little fanfare and no surprises. The live stream that began on the ninth day of Wimbledon competition appeared at the top of a dedicated Twitter page next to a scrolling list of Wimbledon-related tweets. The HD video was clearly identified as a live stream, "brought to you by" ESPN and Wimbledon. Finding that live stream, however, was a challenge. Twitter hosts a lot of content, but too much of the information gets buried and is never seen by the users most likely to want to view it. Live sports presents the company with an opportunity to elevate the most exciting events in real time, but Twitter mostly failed to impress at Wimbledon. Interested users still had to hunt down the media they wanted to watch, for example, and finding it wasn't easy. 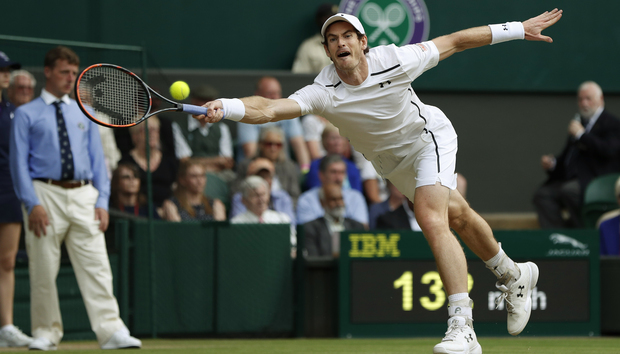 The Wimbledon live stream is just a test, according to Twitter, but it didn't explain how it plans to improve the experience for future sporting events. ​"​Twitter is increasingly a place where people can find live streaming video, and that includes exciting sporting events like Wimbledon," a Twitter spokesperson said in a statement. "This live stream is an extremely early and incomplete test experience, and we'll be making lots of improvements before we launch it in its final form." Even tennis fans that knew about Twitter's live stream from Wimbledon likely had difficulty finding footage of the annual Grand Slam event. The live feed wasn't promoted on Twitter's main page, and it was nowhere to be found in its trending topics or "Moments." Twitter has two months to get things right before the NFL season kicks off, but the Wimbledon "test" suggests it has a long way to go before game time.